Oxidation and Reduction reactions in organic chemistry are very different than the redox concepts covered in general chemistry. This video shows you how the same gen-chem concepts apply, while helping you analyze it from a molecular and organic chemistry reaction perspective. 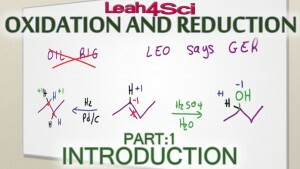 This video covers the logic, definitions, and tricks to look out for when identifying redox reactions and reagents for organic compounds. Simple logic, right? It pains me when a student will write Na2Cr2O7 for reduction. It shows me they memorized. I want to ensure they UNDERSTAND!